Opossums are some of the least understood mammals of North America. 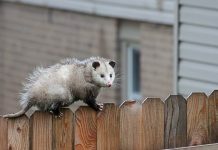 In this article we are going to talk about if possums do hang by their tails. 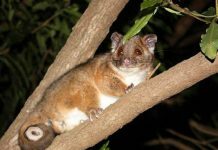 Let us not forget that Australian possums and North American opossums are distinctly different animal although they are closely related to each other. In cartoons, opossums are often seen hanging by their tails which isn’t quite true. The opossum’s muscles aren’t strong enough to hold its weight except for a second or two. Nearly all opossums are arboreal that is to say that they spend most of their time in trees. However, opossums do come to the ground too. They travel few meters at night. American opossums have prehensile tails which they largely use to climb as well as to stabilize their position whilst moving between the trees. The opossum’s tail serve to balance the animal just like the capuchin monkey’s. Nonetheless, the capuchin monkey can hang by its long prehensile tail but opossums just can’t. The opossum’s tail is probably too short or weak to support its entire body weight. 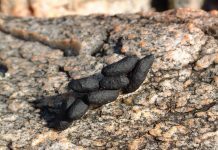 The opossum’s tail functions more like a mouse’s tail. Like the mouse, the opossum will maintain a balance particularly when it climbs up into the trees. You know now that opossums do not hang by their tails. Unlike adults, the baby opossum can possibly hang by its tail for a second or two. Like American opossums, the Australian possums are also adapted to living arboreal lifestyle. One such possum is a pygmy possum which is nearly the size of a mouse. The pygmy possum has long prehensile tail but its tail isn’t long and strong enough to support its body weight. It uses its tail in climbing among branches.